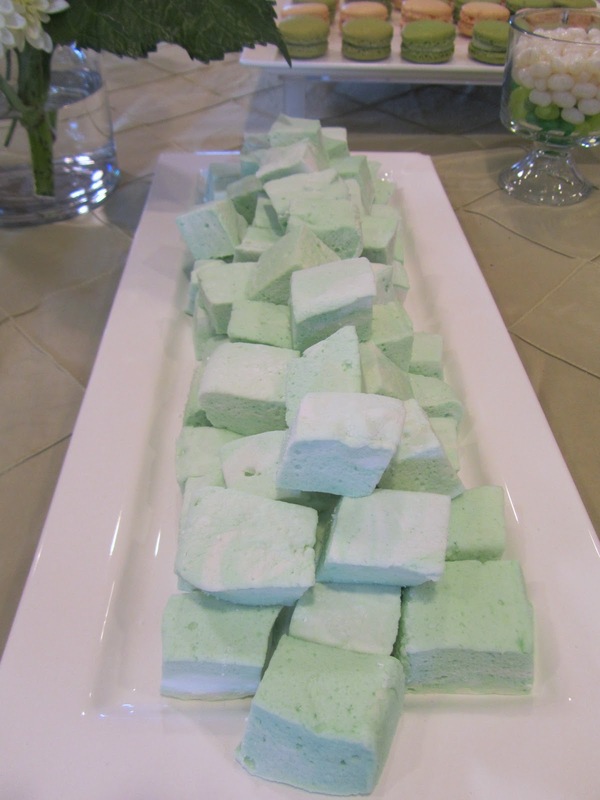 I have been meaning to make marshmallows for the longest time, so a bridal shower seemed like the perfect time! This was one of the two recipes I made for the bridal shower dessert table. 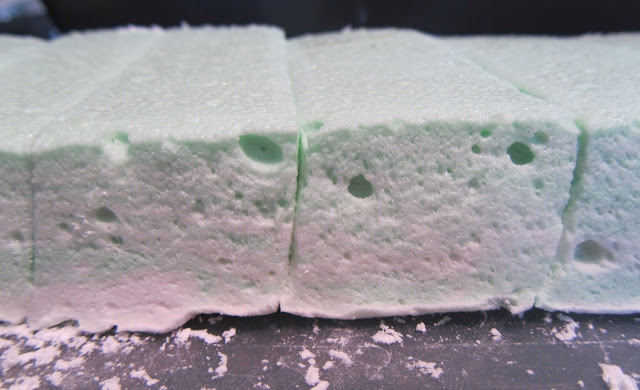 Marshmallows are surprisingly easy, fast, and fun to make! And you can add whatever color/flavor you want! Texture: Very springy and fluffy! I loved squishing them, and the boyf wanted to jump in them. Would I make this again? 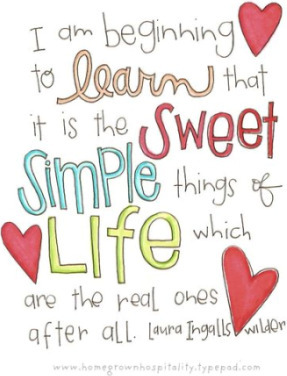 : Yes, for sure! It was so easy, and there are so many variations I could make! I would love to try strawberry, almond, etc. In a 3-quart heavy saucepan cook granulated sugar, corn syrup, second 1/2 cup of cold water, and salt over low heat, stirring with a wooden spoon, until sugar is dissolved. Increase heat to moderate and boil mixture, without stirring, until a candy or digital thermometer registers 240°F, about 12 minutes. Remove pan from heat and pour sugar mixture over gelatin mixture, stirring until gelatin is dissolved. 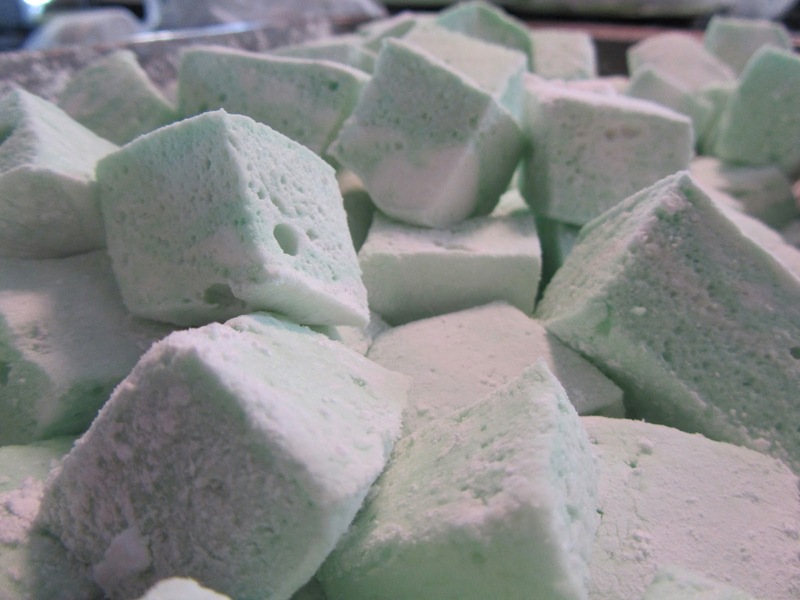 Do ahead: Marshmallows keep in an airtight container at cool room temperature 1 week.